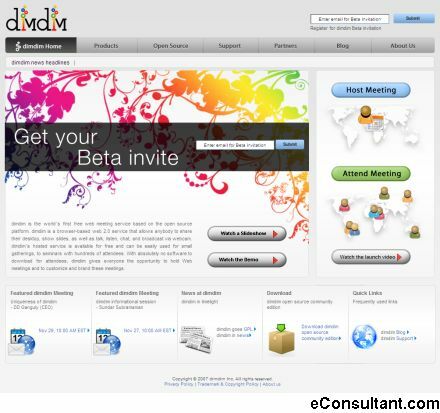 Description : Dimdim is the Open Source web conferencing company. With Dimdim you can show Presentations, Applications and Desktops to any other person over the internet. You can chat, show your webcam and talk with others in the meeting.